The Bamberg County Courthouse is located at the corner of Main and Second Streets in downtown Bamberg. It was originally located in the middle of US 301 until it was moved to its present location in 1950. Moving the six-million pound courthouse was at the time one of the greatest house-moving projects ever undertaken in South Carolina. 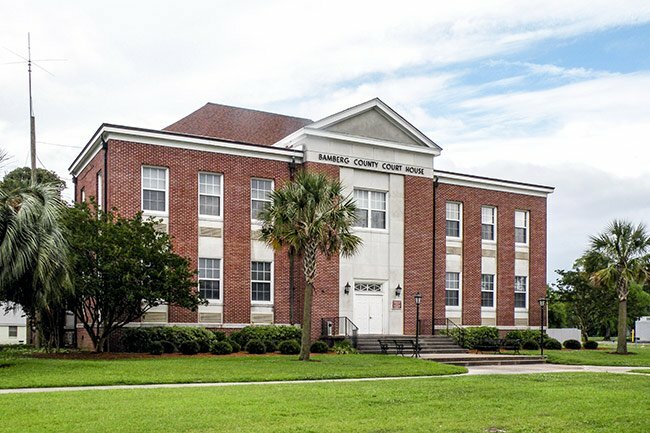 The courthouse has two entrances, one being the handicap accessible entrance located at the backside of the building. Plenty of parking is available as well.